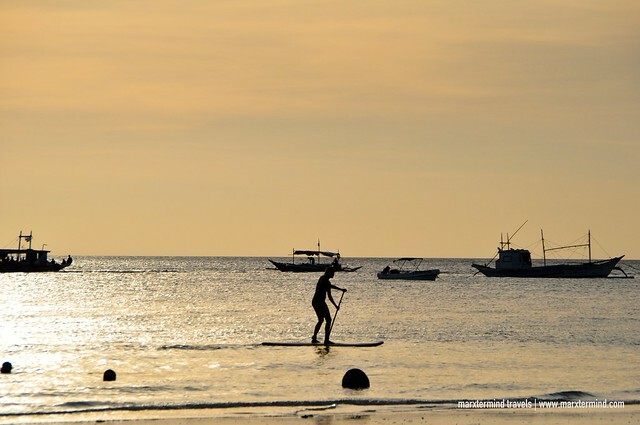 When in Boracay, you will not run out of things to do. 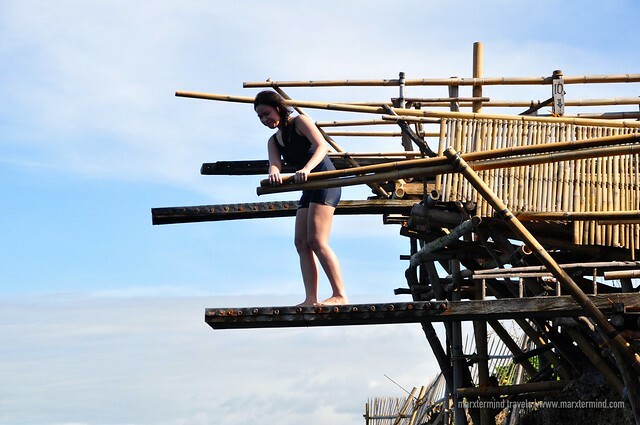 The island has many interesting activities to offer like water sports, adventures, island hopping, partying, relaxing, staycationing and so forth. 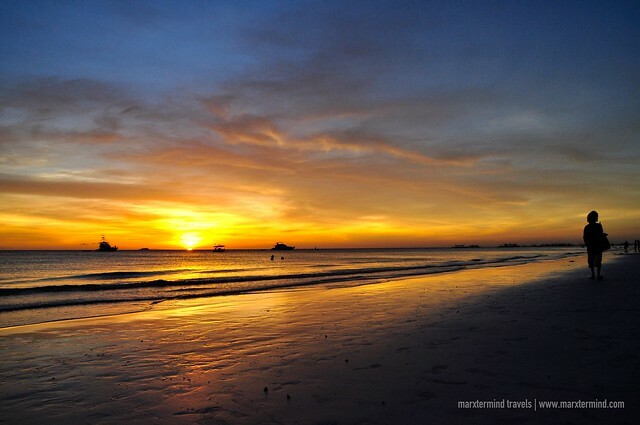 These things also become the reason why this island has become an instant destination to many. 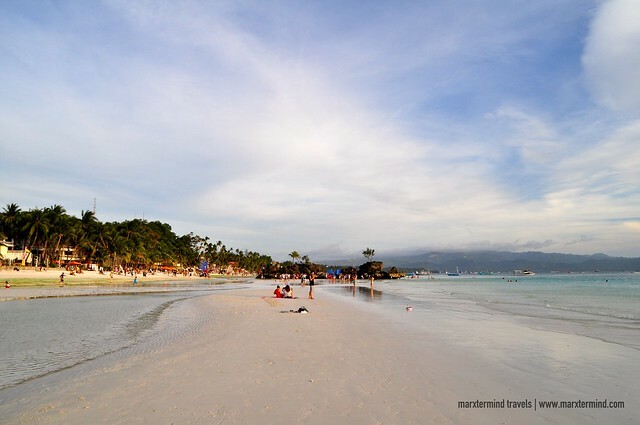 Apart from its accessibility, popularity and beauty, people spend time in Boracay because the island is filled with things and new things to try and explore. 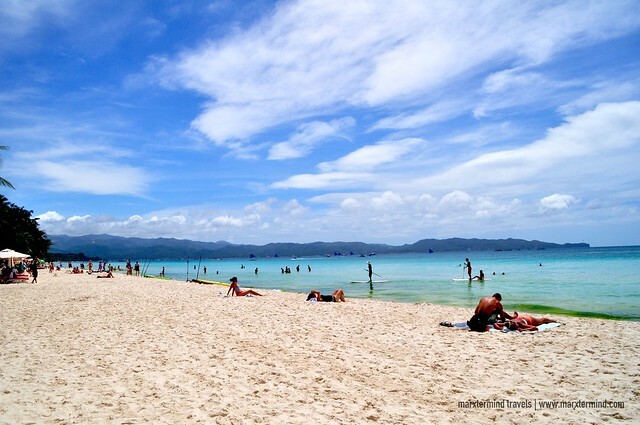 Summer season was already about to begin when my friends and I visited the beautiful island of Boracay. 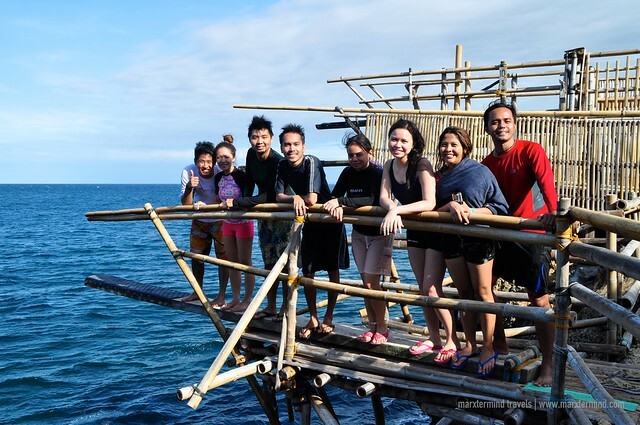 It was the first time for most of us to visit the island during summer; hence we were all excited what kind of experiences this island could bring to us. We didn’t plan that extensively for our activities because we all knew that we could just decide what activities to participate when we get there. It was my first time to experience the famous White Beach of Boracay with the existence of green algae. 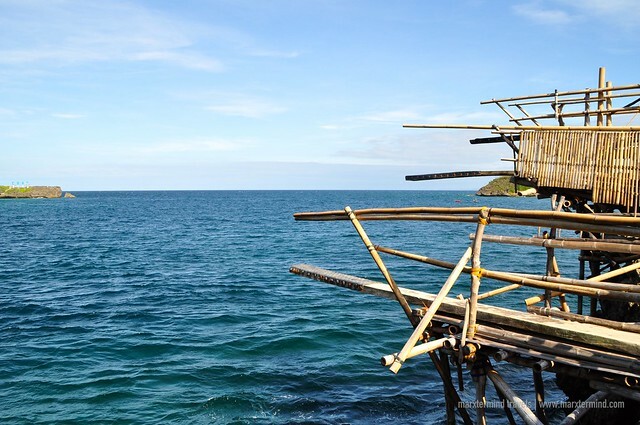 Some say that it’s a natural thing that happens in the island during calm season while some claim that it’s something that occurs because of the water pollution in the island. Seeing the green algae during our visit didn’t surprise me actually because I was already expecting it. 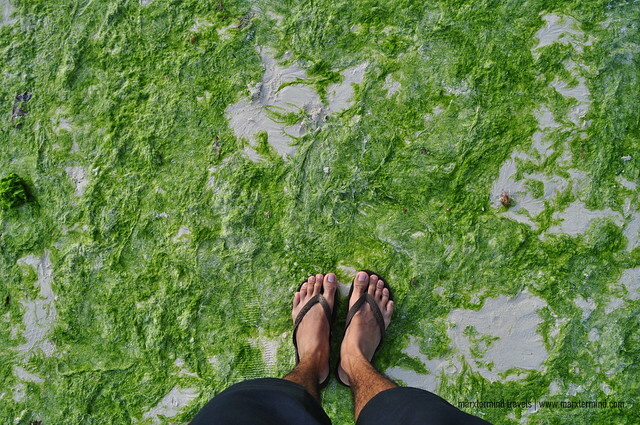 The formation of algae looked like a long green carpet placed in the lengthy stretch of White Beach. If it is true that these green organisms was formed because of water contamination in the island, I hope the local government and the business association in the island are making ways to clean these up and avoid these contaminations from happening in the future. 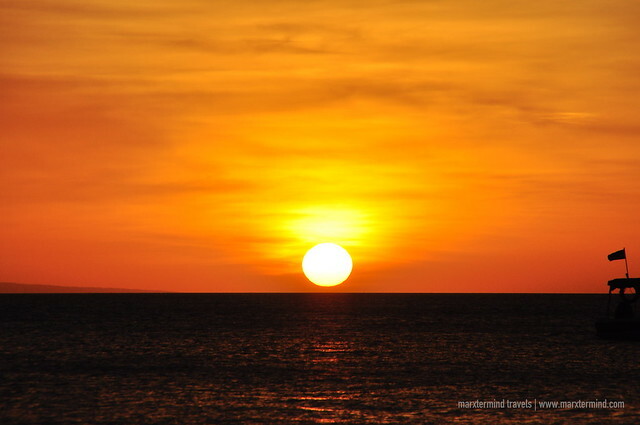 After slumbering for hours inside our room at The District Boracay, we went out and walked to get to Station 1 of White Beach and watched the sunset from there. 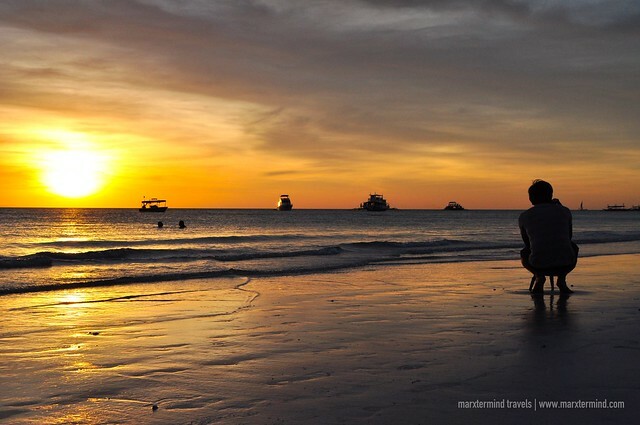 Boracay still holds the best place for me to view the sunset. Magic Island is making rave now because of cliff jumping. It’s a cheaper version of Ariel’s Point. 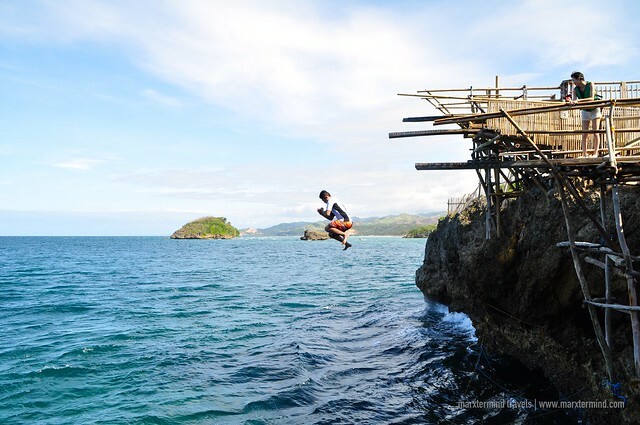 The island has a small shore but what the island really boasts about is their diving boards in different level wherein guests can do cliff jumping. The island is a 20-minute boat ride away from the White Beach. 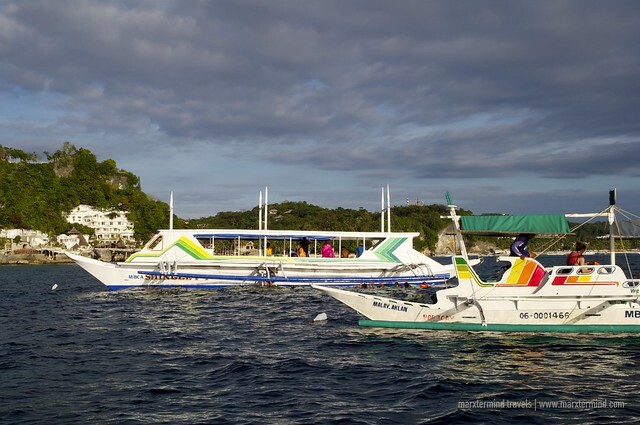 It was part of the island hopping activity that we did on our second day, along with a visit to some snorkelling sites in Boracay. 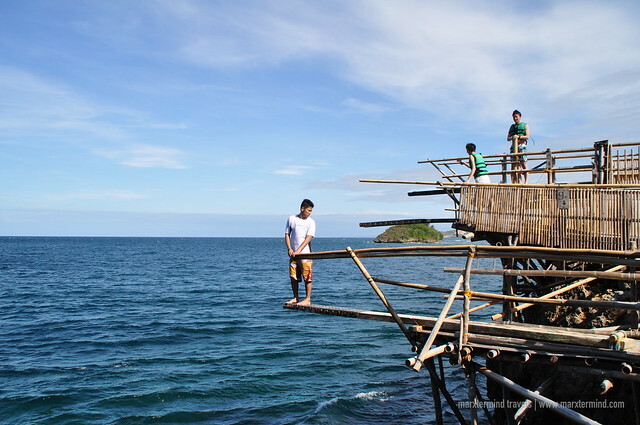 Entrance fee to Magic Island is PHP 150 per person, which comes with unlimited cliff jumping. Please do note that life vest is not going to be provided. The activity can be done at your own risk. The diving boards have elevations of 15, 20, 27 and 30 feet. My friend’s brother tried it first at the 20-foot platform, then I followed. He then tried the 30-foot platform, and then I followed pursuit. Because the sea was rough that time, it gave me a hard time to get back to the floating raft. I rested for a couple of minutes until I jumped off the cliff for another try, and another. 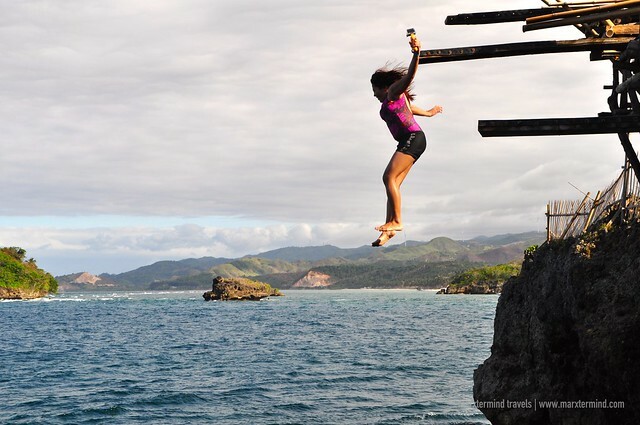 Almost all of us bravely did the cliff jump – and it was all fun! 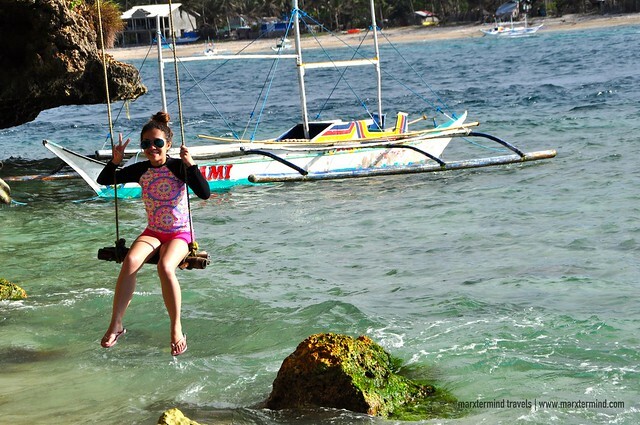 This activity was actually our main interest why we went for an island hopping. 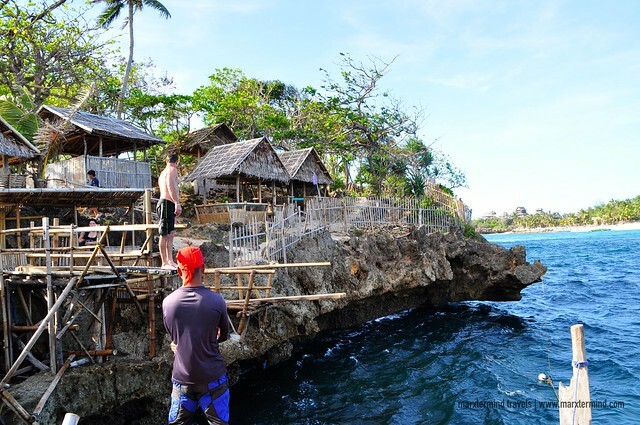 We were all satisfied that we had finally able to experience cliff jumping in Magic Island. 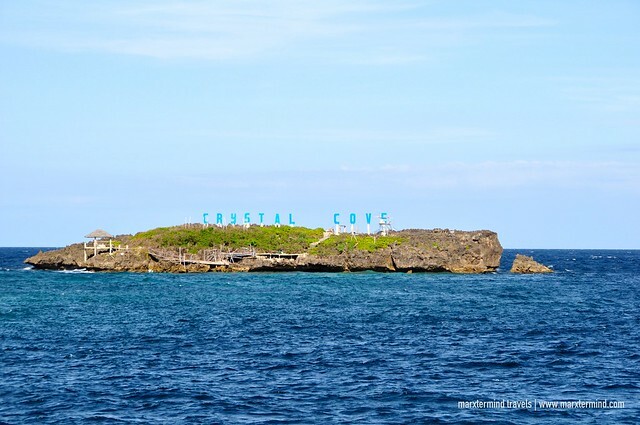 Because we were all contented about the activity, we just decided to skip visiting the Crystal Cove even if it’s just nearby the Magic Island. 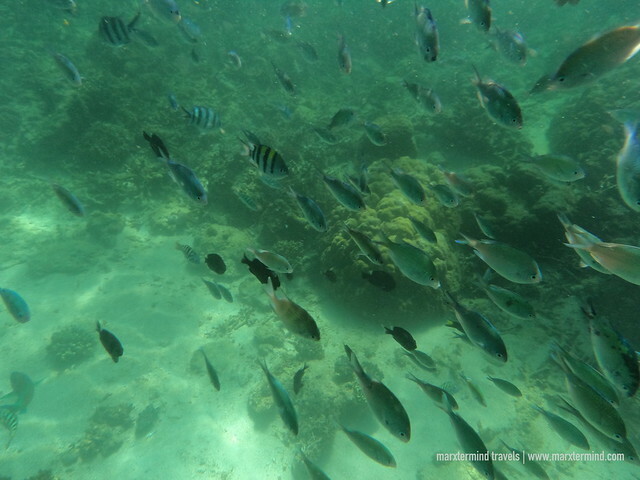 We dropped by a snorkelling site nearby the Crocodile Island before we actually went to Magic Island. 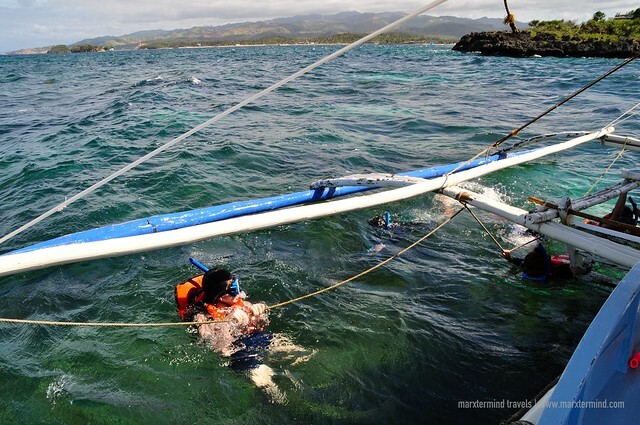 The sea was rough that time but we still went out of the boat and spent a little time to snorkel. 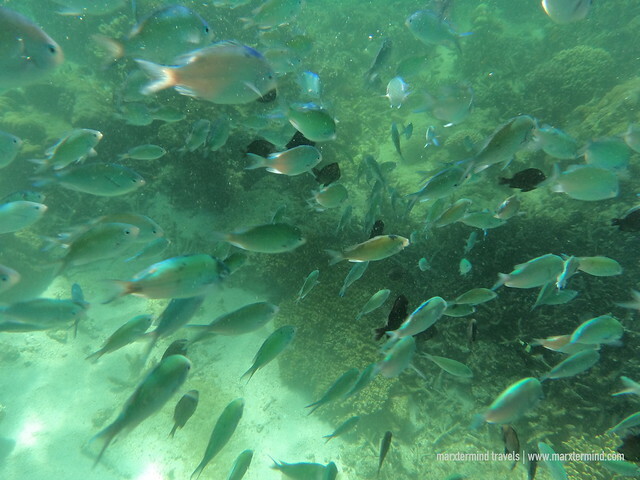 This snorkelling site was said to be one of the best parts to snorkel and see a lot of school of fish. It really was. There are plenty of fishes. You’ll get amazed how plenty they are on that area. 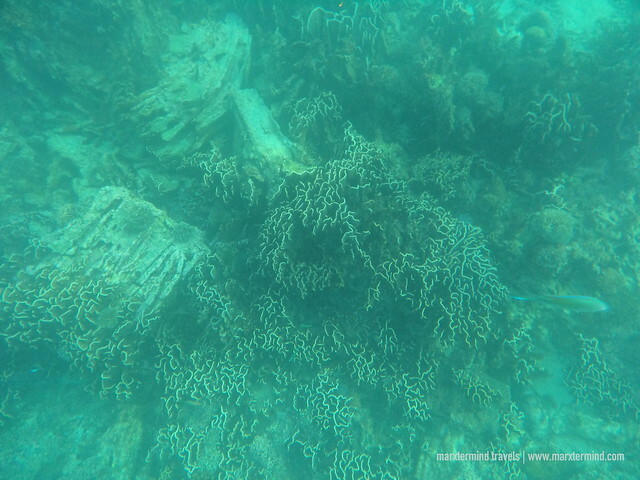 Another site that we went for snorkelling was the snorkelling spot near Balinghai Beach. This area was nearby the Spider House Boracay and Shangri-la Resort. It was our last stop. This site is a little too deeper compared to the first one that we had visited. 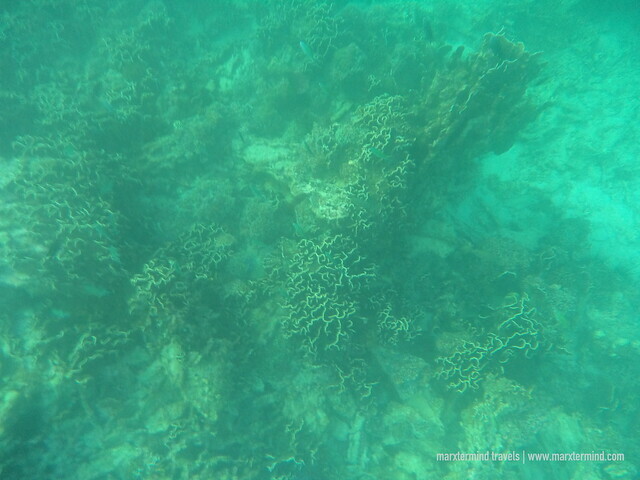 The fish wasn’t abundant but we’d seen some interesting corals. Visiting these two snorkelling sites costs PHP 10 per person per each site for environmental fee I guess or for whatever fee it was. 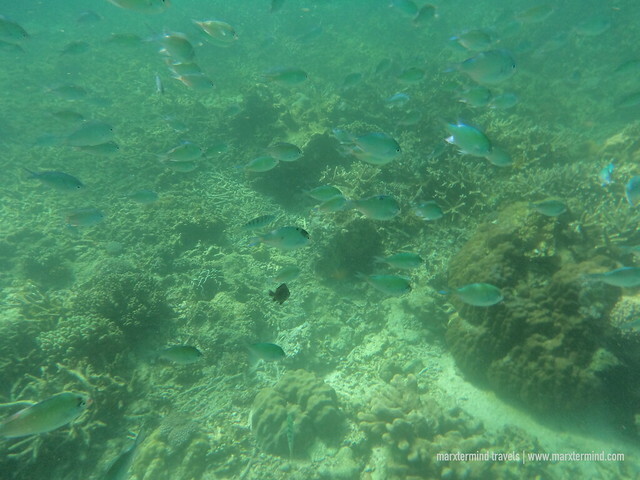 Rental of snorkel costs PHP 100 each. 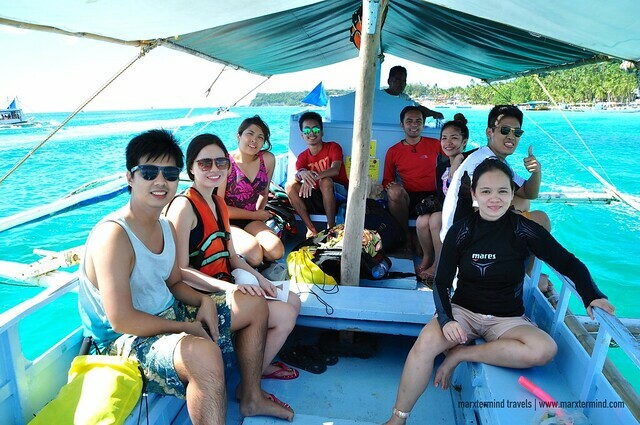 Our island hopping activity lasted for almost 4 hours. We started after lunch and we were able to get back to the White Beach before sunset. The boat fee originally costs more than PHP 5,000 (maybe for foreigners) but our group was able to bargain it down to PHP 2,700. 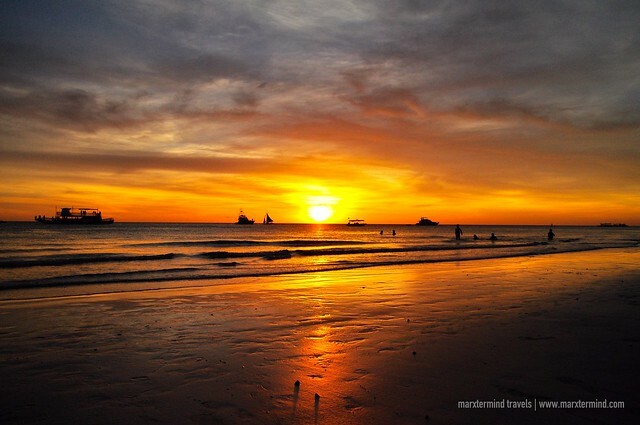 It was a short period for us to experience the outdoors in Boracay. 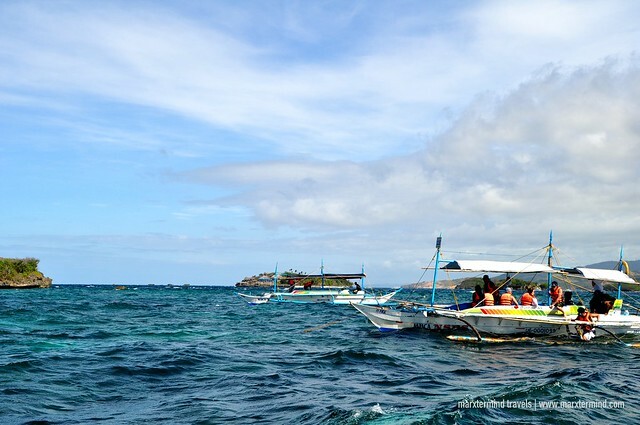 Though I’ve been to this island for several times already in the past, it was just during this visit that I was able to try the island hopping. Well, I enjoyed it so much because at last, I was able to tick off something on my list of things to do in Boracay. Now, I can’t help but to look forward on my next visit to this destination and try another interesting activity. I’m not certain what it is yet but I’ll let Boracay surprise me. For sure, when I get back there’ll be more new adventures to try. A single person might affect the overall productivity of the team and might make the team members skeptical about being in a team henceforth. Thus, before such a situation reaches to that extreme stage, a couple of well devised team building exercises should be organized to improve the team. Yeah I hope so too, my brother recently got an ear infection from kiting a Bulabog beach and he met a girl also that has had a serious leg infection in the past from kiting there also. It's predominately Bulabog beach where the problem is. Hi, Paul. Thanks for dropping by and enlightening us about the green algae. I think everyone is responsible for the green algae, if it's really coming from contaminated water. I just hope that this problem gets resolved soon. Hey nice article! love the pictures. 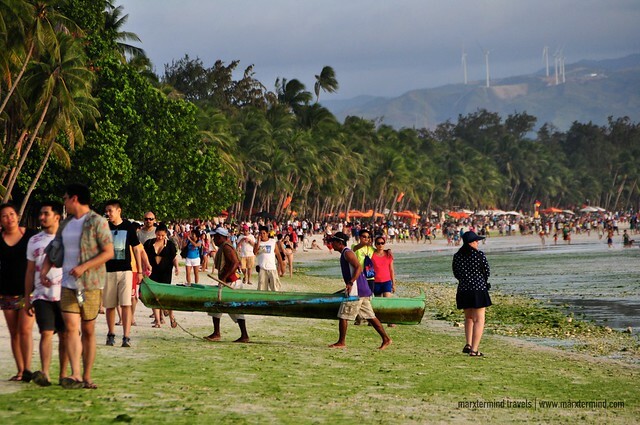 About the green algae, I live in Boracay recently talked to several locals on Boracay about it who have lived the since birth before there was tourism and they all tell me the algae have always been there. 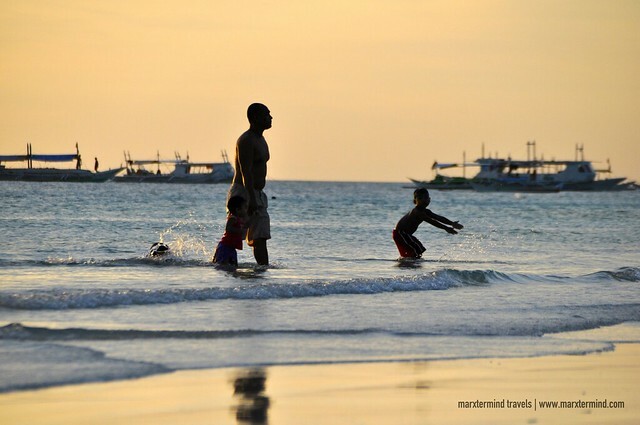 It could still be pollution is the cause since someone also told me before it's not the resorts mostly that contaminate the water but local establishments that are not connected to the boracay water cleaning company.Still trying to get to the bottom of this.